Joe and I somehow got it into our heads last night that we could eat 2 lbs. of steamed snow crab legs. Several clusters in, we realized that our eyes were bigger than our stomachs. But there was no way I was going to let the remaining meat or the MOUNTAIN of shells go to waste. 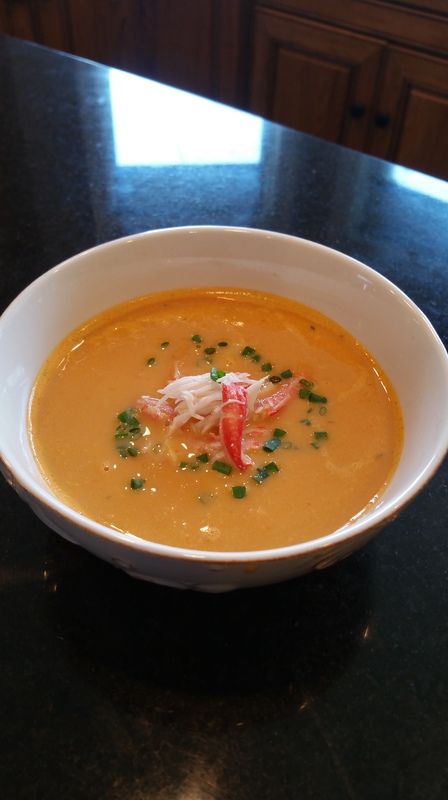 Seemed like the perfect opportunity to try my hand at making a creamy, delicious crab bisque and build it from the seafood stock on up. Let’s get to work, shall we? 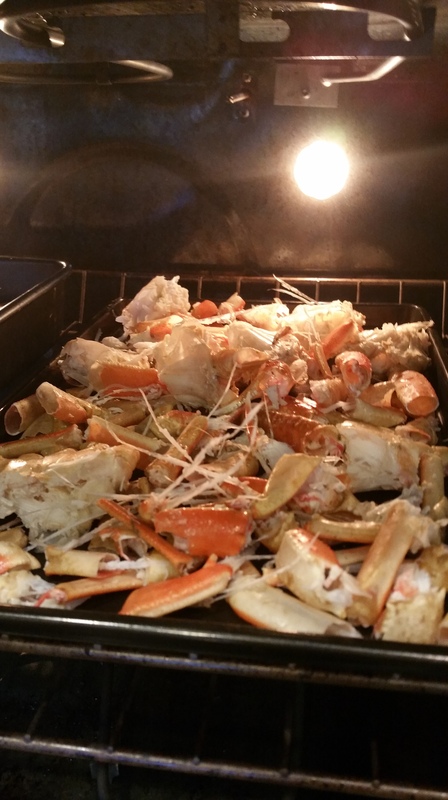 Roast the crab shells in a 400 degree F oven for 10 minutes or until the edges begin to brown. 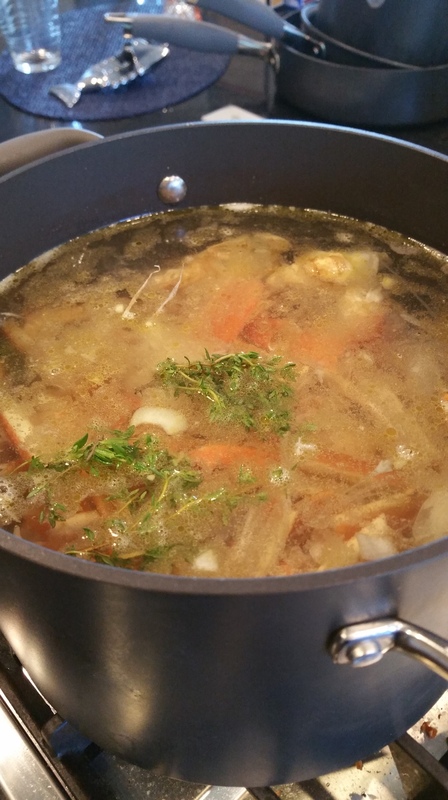 Place a stock pot over medium heat and add the olive oil. Once the oil starts to shimmer, add the onion, carrots, celery, and garlic and saute until the vegetables start to soften. Take a selfie maybe? Add the shells, white wine, thyme, peppercorns, and tomato paste. Then add water until the shells are covered by about 1 inch. 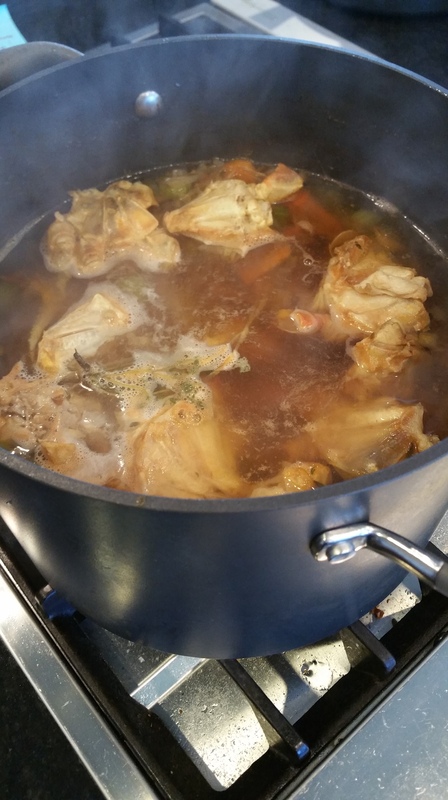 Bring the stock to a boil and then reduce to a simmer and cook for 1 and a half hours. Skim the grease and foam from the surface every so often during the cooking process. There will be a decent amount of evaporation. 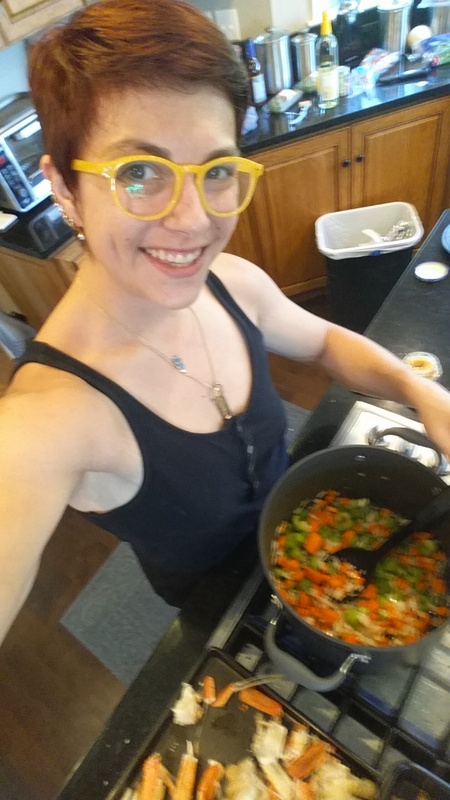 The first picture is the beginning of the cooking process, and the second is the end. 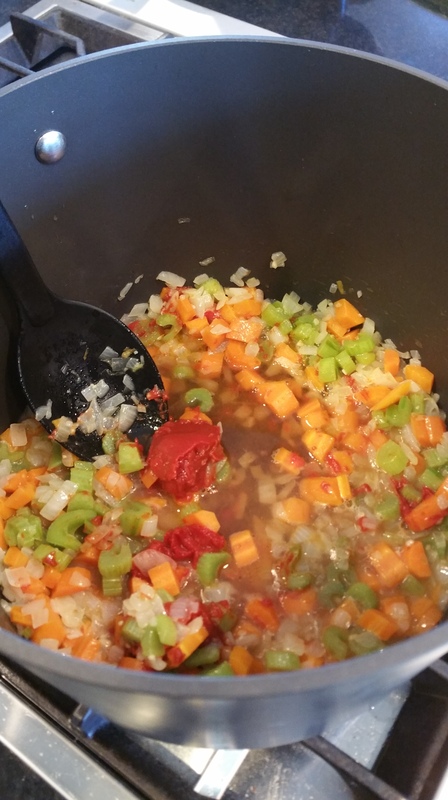 Melt the butter in a large pot over medium heat and then add the celery, carrot, and onion. Saute until the vegetables soften and give up their juices. Add the garlic and saute 2 minutes more. Deglaze the pan with the sherry, and then add the tomato paste. 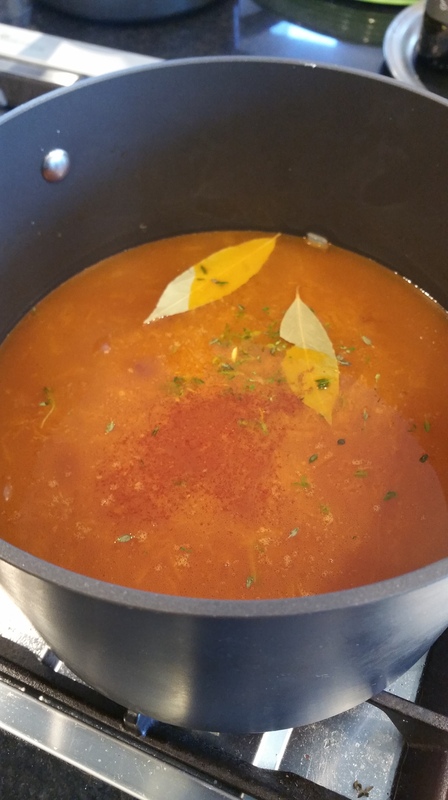 Add the seafood stock, paprika, thyme, and bay leaves. 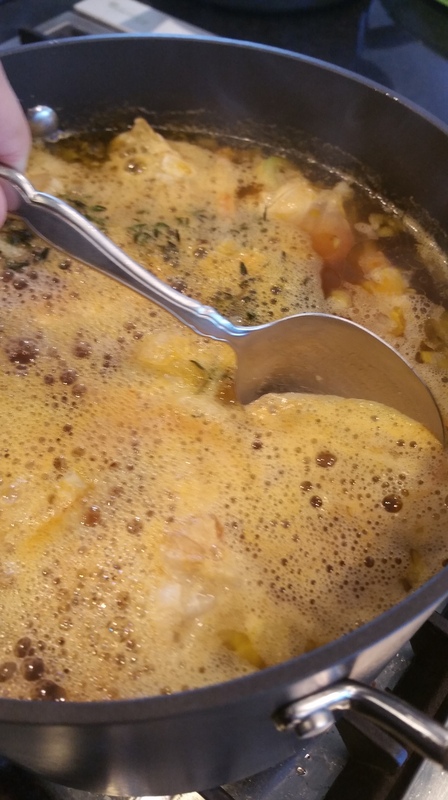 Bring the soup to a gentle boil, and cook for 20 minutes. 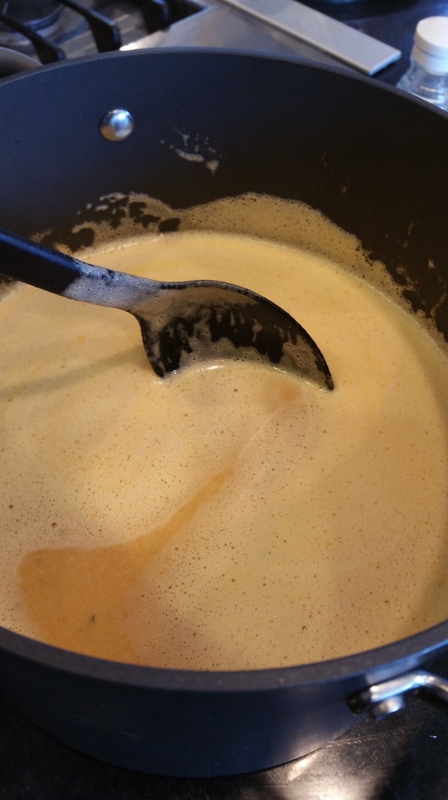 Remove the pot from the heat and stir in the cream. 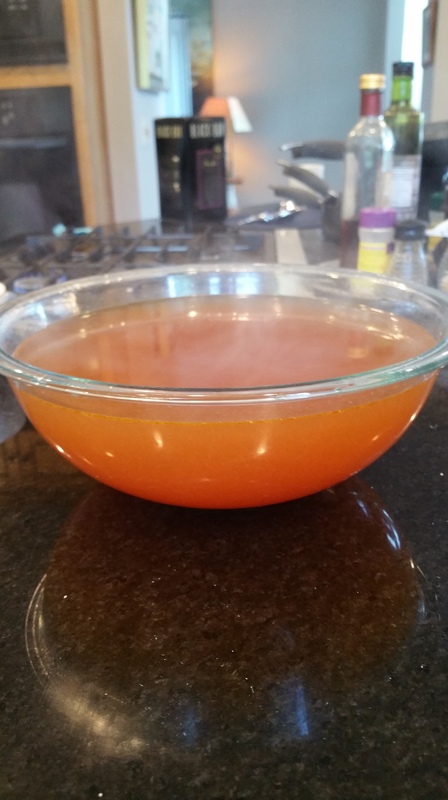 Puree the bisque in batches, and then return to the stove, season with salt, pepper, and the lemon juice. 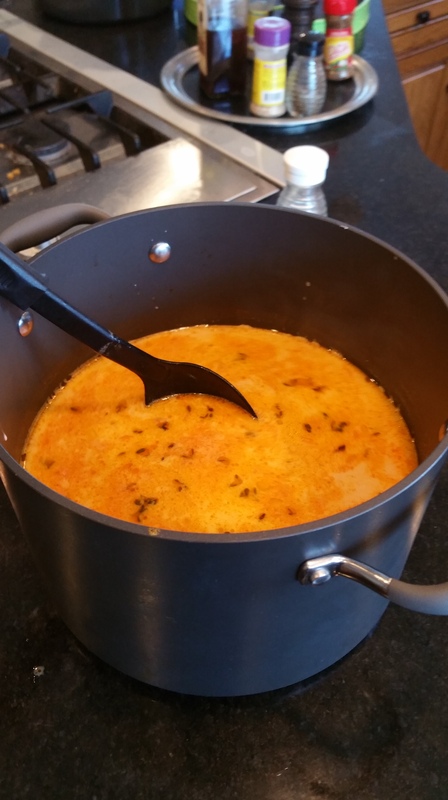 I prefer to add the crabmeat to the individual bowls when serving, but you can add it to the pot of bisque if you like. Garnish the soup wish fresh chives and enjoy! So next time you “accidentally” order too much shellfish, toss your shrimp, crab, or lobster shells in a pot and get that stock going. In addition to being a wonderful base for soups and sauces, it is also delicious cooking liquid for rice and other grains.